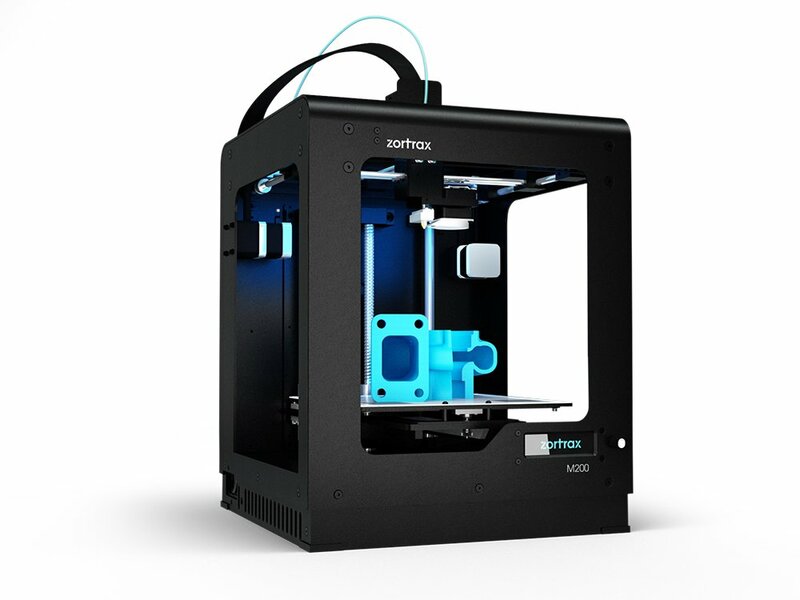 The Zortrax M200 is designed for precision 3D printing at the click of a button. Setup is easy with the Zortrax since it utilizes automatic calibration. This printer was named the best "Plug and Play" 3D printer by 3D Hubs. This simple to use 3D printer will have you up and printing in minutes. Simply grab a model online or from your favorite CAD program and bring it into the included Z-Suite software. From there Z-Suite will generate support and do all the work for you. Enjoy ample build volume with the Zortrax M200. You can create objects up to 8 x 8 x 7". Start printing parts today with a super low layer height of 90 microns. That means that your printed parts will be smooth to the touch. The best part about the Zortrax M200 is its solid and sturdy construction. This printer is built like a tank. Replacement parts, build plates, side covers, and more are available for special order! Contact support@matterhackers.com to learn more. At MatterHackers we pride ourselves on offering friendly service, advice and support. Our prices are always the lowest in the industry when you factor in our free shipping for every item on the MatterHackers site (including 3D printers). Most of all, our staff is friendly and knowledgeable. They have been 3D printing for several years now and are happy to answer your 3D printing questions. Have a question about the amazing capabilities of your new printer? No problem. Feel free to give us a call.